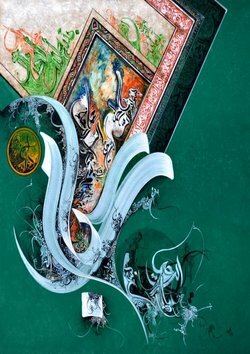 An art exhibition of beautiful Islamic Calligraphy. The Mussawir Art Gallery is bringing together 14 renowned artists based both in Pakistan and the UAE, and exhibiting their work here in Dubai. The works will include paintings and sculptures from these artists all on display at the gallery, all covering the beautiful tradition and art of Islamic Calligraphy.